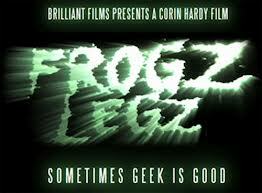 Teaser Trailer For "Frogz Legz" Could Just Be The Best Thing You See Today! I usually don't post any trailers because Derek Clem is in charge of our 'The Trailer Park' segment, but this made made me laugh so hard that I felt it needed to be shared early. "Frogz Legz" tells the story of a french girl who turns into a frog when she gets horny... I know what you're thinking, 'Sounds like it could be the worst thing ever', and it might turn out to be so. But, after watching the trailer, I think it could be a new cult classic. Hit the jump for the trailer!